notice last year: they can touch you! I didn't mind it too much -- in fact, it added a little of that "on edge" feeling I longed for. The first attraction we entered was Schizophrenia, a psychedelic trip through a clown-infested nightmare. The layout and design of the attraction was interesting had a great carnival funhouse feel, complete with a midway! If you're scared of clowns, this definitely is NOT the haunt for you. But I quite enjoyed it! A new attraction for the 2014 season is Hysteria, a haunt that targets your deepest fears. Now you'd think that this would be the one that would contain clowns, but sadly no. But that's okay, because the halls were filled with live tarantulas and snakes! And the floors are littered with bugs and rats. I can definitely see how this would freak someone out, big time! Personally, I found the haunt extremely creative and I have yet to see something similar -- which, for that, I'll give Hysteria high praise. As the years tick by, I can see Hysteria only getting more and more intense! Okay, let's talk about Pandemonium. I don't normally walk away liking "blackout haunts", but this one got me. I'm not sure if it was the added suspension of getting touched, but Pandemonium was definitely one helluva a fun time, Yes, I got lost more than once -- and separated from the group, too! Now in years past, I always liked Old School Fright. This attraction is usually for all the movie characters with a few original ideas scattered throughout. Without giving away too much, the design of the Freddy Krueger/A NIGHTMARE ON ELM STREET scene is phenomenal! I literally felt like I was in a nightmare with Freddy. The entrance to the scene was a nice touch as well, descending into a bed. If you're a fan of slashers like I am, then you'll totally dig Old School Fright! 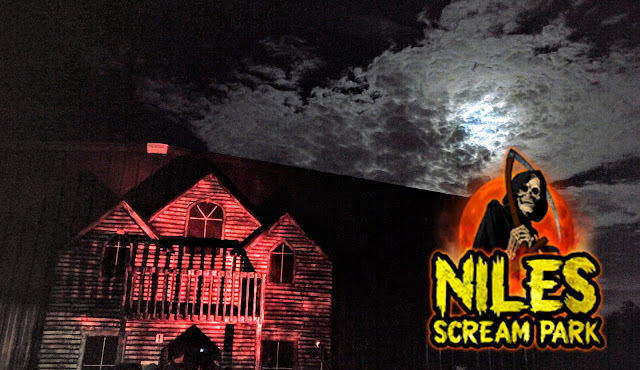 This is a haunt that I'd love to give 5 Skulls to, but I just left feeling as if some of the actors in Old School Fright didn't quite know what their character's personalities or traits were supposed to be. Nevertheless, 4 Skulls ain't too shabby! As for The Last Ride, you might find this little attraction scattered at different haunts and conventions as it's a pretty mainstream prop. Basically what it is, is a ride from the mortuary to a cemetery...in a coffin! The effect is realistic enough to creep you out and the smell if enough make you sick to your stomach. Everywhere that I've tried The Last Ride I've enjoyed it, so 5 Skulls it is. 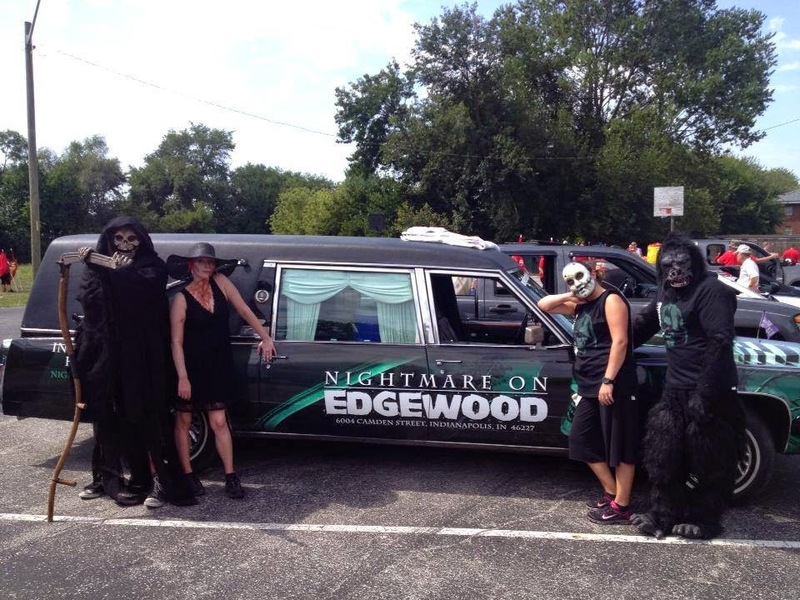 At the end of the night, our trip to Nightmare on Edgewood was fantastic! If I had time to make a second trip I would. 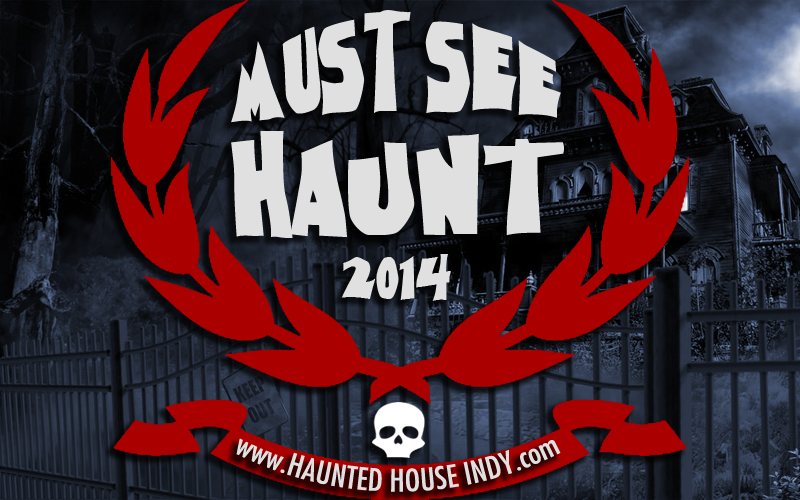 It's definitely a Must-See Haunt for the 2014 season!